For young families searching for a place to call home, Washington’s King County is truly at the top. When NerdWallet analyzed the factors to find the most affordable, family friendly cities in the Pacific Northwest, eight of the top 10 are in King County, home of Seattle. The county is the most populous in the Evergreen State and its residents are the most educated. At least 46% of residents hold a bachelor’s degree, compared with the state average of 31%, according to 2013 U.S. Census Bureau data. In our study, we looked at three factors that drive one of life’s biggest decisions: Where should I raise my family? Public school excellence. For school quality, we gathered GreatSchools data, which compares students’ test scores and other statewide data and ranks schools on a 1-10 scale, with 10 as the highest rating. Home affordability. Using U.S. Census Bureau data, we weighed median home values and monthly homeownership costs, including mortgage payments, real estate taxes, insurance costs, utilities, fuel and other bills. Places with more affordable homes had higher scores. Growth and prosperity. We assessed a place’s economy using census figures that detailed median household incomes from 2012, and long-term income growth since 1999. Seattle suburbs are hot. Beyond just the top 10 places on our list, 12 of the top 20 cities are in King County, where Seattle is the county seat. Education is exceptionally strong. All but one of the top 10 cities has a GreatSchools rating of 9, and none in the top 20 had a ranking below 7. Perhaps the bigger picture, though, is that 56 of 82 places we surveyed in the state were rated at 6 or higher. The outdoors are great. Many of the top cities have access to the state’s natural beauty — from the mountains to Puget Sound, which helps explain the high median home values in the area. NerdWallet crunched the data for 82 places in Washington — cities, towns and census-designated places. Only places with over 10,000 residents were analyzed. To see the full data set, click here. 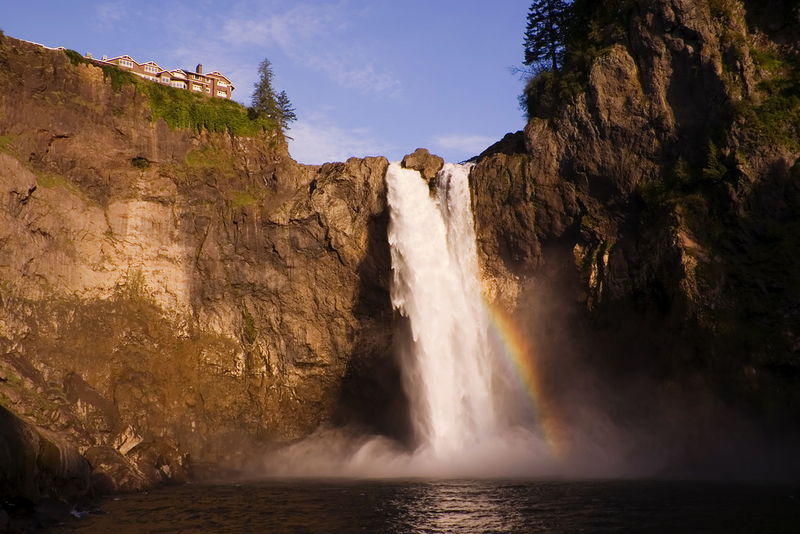 Snoqualmie has the best kind of ups and downs —the city’s rate of growth is sky high while Snoqualmie Falls offers the sights and sounds that only a waterfall can bring. From 1999 to 2012, residents in this quiet village saw their household income grow 131%, the biggest growth in the state, after an even larger population increase. The award-winning school district continues to grow, too, with an increased enrollment of nearly 2% each year in the past two decades, according to the district’s website. Snoqualmie, a strong retail, residential and eco-conscious community about 30 miles from Seattle, is a place to call home that is also close to industrial centers. West Richland, in the state’s southeast, is home to the most affordable housing on our list, with a median home value of $193,400, and median homeownership costs of $1,508. The community in the Tri-Cities region, which includes Kennewick, Pasco and Richland, has experienced considerable growth in the past decade, from businesses to the upcoming addition of the school district’s 10th elementary school. When it comes to recreation, Flat Top Park provides a central location for families to relax, watch concerts and enjoy seasonal events such as the Harvest Festival in September. With parks bordering the city and the Lake Wilderness Park close to its heart, it’s no surprise that the outdoors are a special place for Maple Valley residents. In 2013, the U.S. Department of Education recognized schools in the city as Green Ribbon Schools for their environmental education and advocacy. Organizations that support Lake Wilderness Park, golfing and the creative arts are among the ways residents get involved in their community. Covington is home to a strong retail sector with affordable homes that include a view of Mount Rainier, Washington’s highest peak. Its thriving downtown is a shopping destination, and the city received the Municipal Excellence Award for its economic development in 2012. The Kent School District provides a quality public education and the nearby Green River Community College offers classes for everyone else. For fun, the Covington Aquatic Center features classes and programs for families, and the Covington Days Festival comes around every July. Anacortes, a small city on an island about 80 miles north of Seattle, is a destination for recreational boaters and commercial fishermen and tourists, who use the state ferry system to travel to the San Juan Islands and British Columbia’s Vancouver Island. Other attractions include Washington Park and the downtown core on Commercial Avenue, and affordable homes and good schools are also a big draw. Monthly homeownership costs tend to be middle of the road, with a median cost of $1,776 in 2012. The award-winning school district features a rigorous curriculum with well-educated teachers: at least 79% have a master’s degree. Bordered by Lake Sammamish, this city with rural roots has grown into a thriving suburb about 25 miles east of Seattle. With its plaza and parks, the Sammamish Commons area offers acres of wetlands and hiking trails, along with golf courses and festivals such as Shakespeare in the Park. With highly rated public schools from elementary through 12th grade and its location, Sammamish housing costs — the median home value is $589,000 — are higher than other cities in our top 10. As home to Microsoft and Nintendo, Redmond offers a world-renowned business sector set in a convenient location about 16 miles from Seattle. Redmond’s Marymoor Park, the most popular park in King County, ranges over 640 acres with space for festivals, sports, picnics, concerts and biking on trails or at the Marymoor Velodrome, the only track in the state for competitive bicycle racing. The city earns top marks in other ways, too, especially when it comes to education: In 2013, the school district made the AP District Honor Roll. The dense forest is part of Kenmore’s thriving community located on Lake Washington’s northeast. The city offers a variety of recreational pursuits for outdoor lovers — from bike trails to summer concerts. Recently, the city started planning an eco-friendly and walkable town square in the heart of downtown. Schools are in bloom as well, with the opening of the new North Creek High School slated for fall 2017. With the nickname “Trailhead City,” this suburb east of Seattle boasts nearby mountains and lakes, but it’s more than a hiking destination. Costco, the third-largest retailer in the U.S. in 2014, has its headquarters here, and perhaps more noteworthy, the city is in the middle of a new urban direction. Apartment complexes are in the works, and the community wants to become a source of urban agriculture with more gardens and local produce. When it comes to education, Issaquah’s class of 2014 achieved the nation’s seventh-highest composite score on the ACT. As it evolved from a village to a city in the past half century, Woodinville has held onto the charm of a small town even as it grows and welcomes more businesses and schools to the area. The area’s strong schools continue to expand, too, with Woodinville High School in the middle of major renovations that have added a performing arts wing, and a technology and special education building to open in 2017. Woodinville also boasts a wine country with more than 110 wineries, including the state’s oldest winery, Chateau Ste. Michelle, and a booming wine tourism sector. Check out this interactive map of our top 10 cities for young families in Washington. 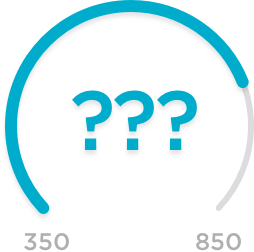 Click on each icon to see the place’s overall score. Public schools made up 33.3% of the score. We used data from GreatSchools, which the nonprofit calculates by averaging the overall rating for each school in the city. Median home values were 16.7% of the score. The information is from the U.S. Census Bureau’s 2012 ACS, data set DP04. Monthly homeowner costs were 16.7% of the score. The figures are from the U.S. Census Bureau’s 2012 ACS, data set DP04. Median household incomes were 16.7% of the score. We used the U.S. Census Bureau’s 2012 ACS, data set DP03. Income change from 1999 to 2012 was 16.7% of the score. The information is from the U.S. Census Bureau data sets P053 and DP03. NerdWallet crunched the data for 82 places — cities, towns and census-designated places — in Washington. Only places with over 10,000 residents were analyzed. We excluded areas that lacked GreatSchools ratings, median household incomes from 1999 and median home values in 2012. Snoqualmie Falls, Washington, image via Shutterstock.